Explore Hollywood's surroundings by going to Everglades National Park (Shark Valley, Long Pine Key, & more), Miami Beach (Holocaust Memorial, South Beach, & more) and Coral Gables (Venetian Pool, Fairchild Tropical Botanic Garden, & more). Spend the 23rd (Tue) exploring nature at Everglades National Park. 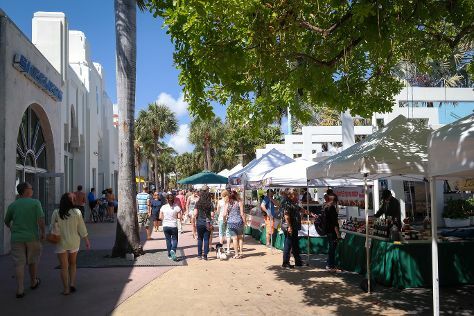 There's much more to do: examine the collection at Vizcaya Museum and Gardens, savor the flavors at Food & Drink, enjoy the sand and surf at Fort Lauderdale Beach, and buy something for everyone on your list at Sawgrass Mills. To see maps, ratings, traveler tips, and other tourist information, read our Hollywood trip planner . If you are flying in from Bangladesh, the closest major airports are Fort Lauderdale Hollywood International Airport, Miami International Airport and Palm Beach International Airport. April in Hollywood sees daily highs of 34°C and lows of 26°C at night. Wrap up your sightseeing on the 18th (Sat) early enough to travel back home.